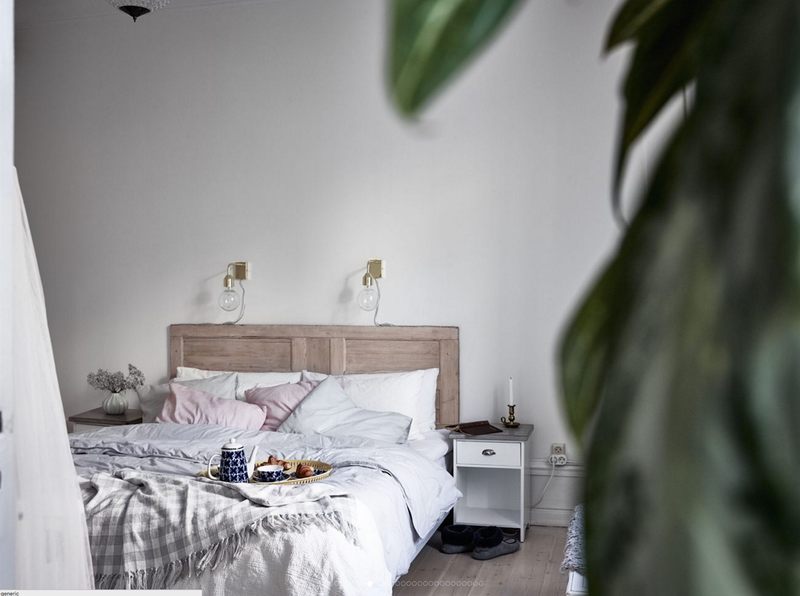 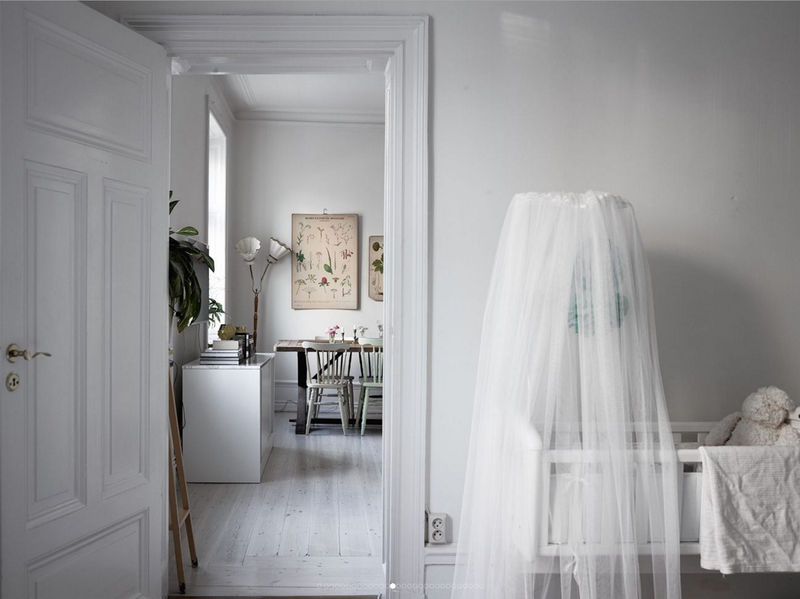 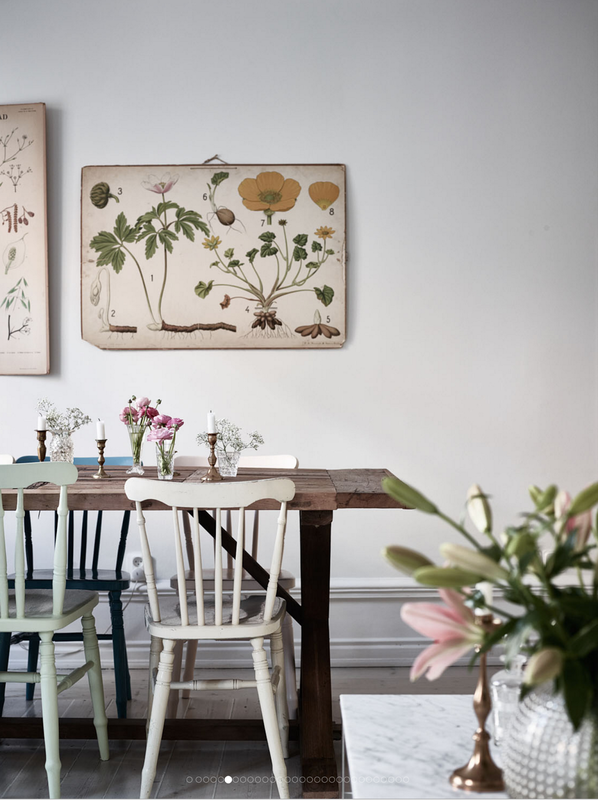 I really love the use of botanical decor in this cozy Swedish apartment. 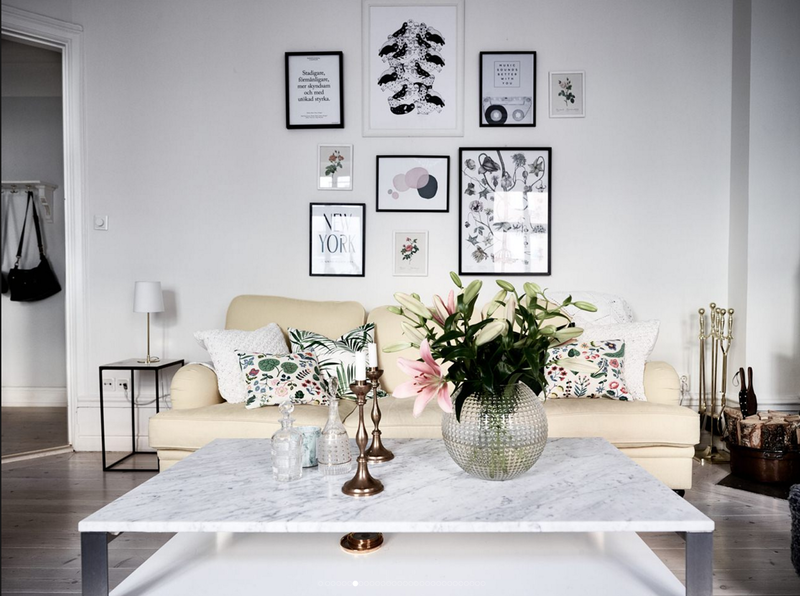 From the live plants to some lovely pillows and and old educational posters. 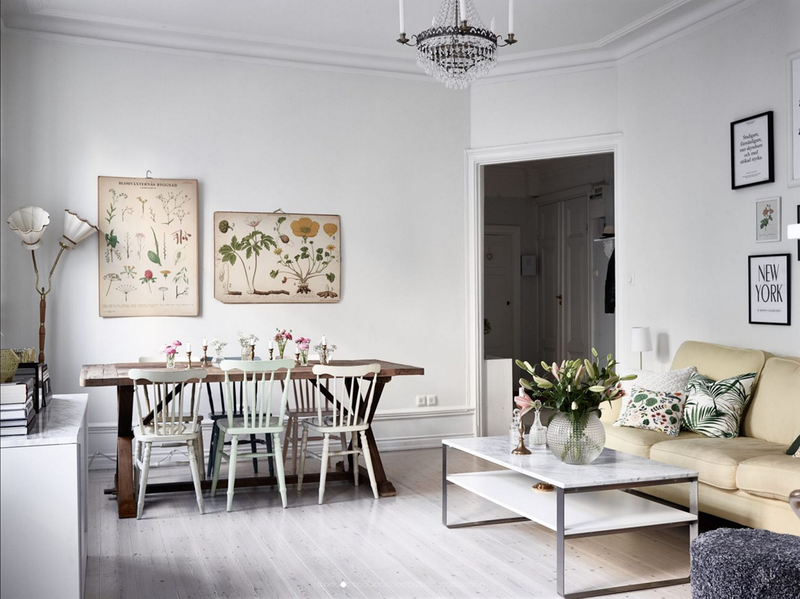 In the dining area there is a nice rustic table and pastel colored chairs which goes perfectly with the rest of the place. 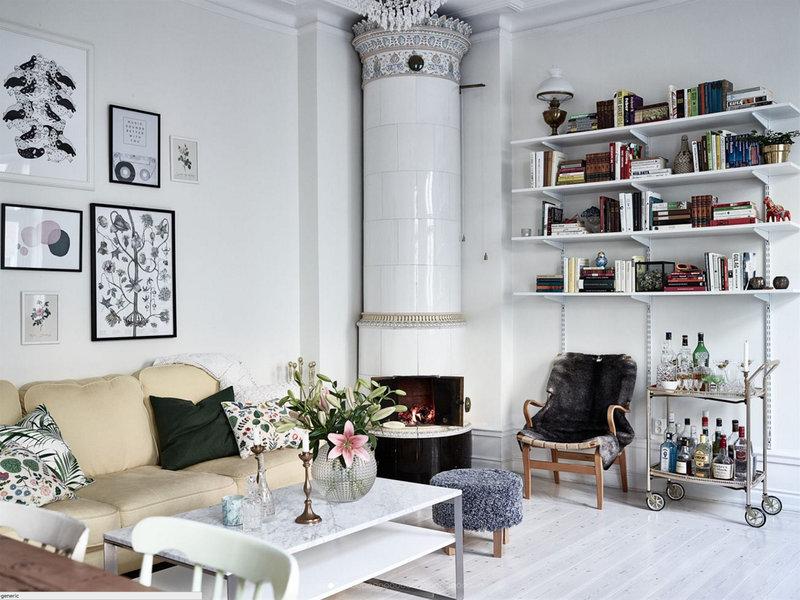 There is also a beautiful old fireplace which looks fabulous and I like the gallery wall behind the sofa too.